Ben and Vance team up to find the Missing MA 828 passengers before the experiments start again. Meanwhile, Michaela discovers that telling people about their extra-abilities might have deathly consequences. 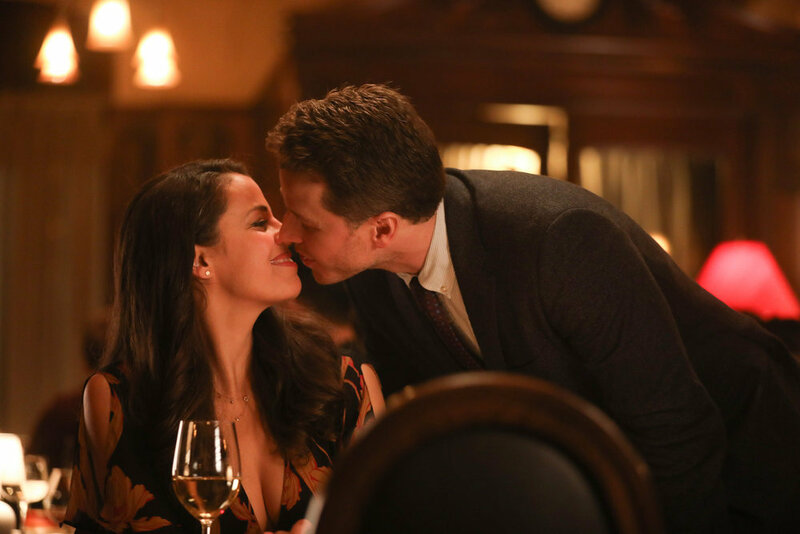 We review this week’s Manifest, “Point of No Return”. So, yes I ship Benvi; however, date night for Ben and Grace is super adorable! The next day, Olive walks Cal to school (insisting that since Cal is already Cancer kid and now, 828 kid, he doesn’t need his mother dropping him off at school and bringing more attention. Olive and Cal’s relationship is lovely to watch, because she encourages him and works hard to make things as close to normal… including lunch with all their old friends. That twin life! The Ben/Vance team-up is what we deserve! Meanwhile, Ben is still working undercover at the accounting firm, trying to figure out the next step since Vance already has the flash drive. However, this question is soon answered when Vance pulls a fire alarm to stage an evacuation of the building. He wants to team up with Ben to have him use the information on the flash drive to find the missing MA 828 passengers before the experiments begin again. Vance will also utilize the resources of the NSA to help make the process go faster… unexpected, but helpful. Cal said that Vance is now our friend… so Vance is now our friend! Ben has the idea to reach out to Fiona Clarke again, and she does know the nature of UDS/Singularity’s experiments. They’re trying to replicate the voices or callings that MA 828 passengers have been experiencing. It’s bonkers because how in the world does UDS think they can replicate them through their experiments?! With help from Vance, Fiona Clarke is about to go undercover to infiltrate the Singularity Project. She talks with one of her contacts in his office and is able to plant a bug. Soon Ben and Vance learn that UDS/SP are setting up a new location in Brooklyn, under the supervision of a military major. Elsewhere, Michaela is having a rough day. While at work, she and Jared are called to help manage an attempted suicide situation. Harvey, one of the MA 828 passengers is standing on the roof of a high-rise building and determined to end his life. With help from first responders, Michaela is able to put on a harness and approach Harvey. She tries to calm him down, but it’s no use. “People are dying! It has to stop!” Harvey believes he’s the cause of that death and his best answer is to jump. It’s really breaking my heart, and on top of that, we don’t want Michaela to feel guilty. The voice in her head keeps saying: “Don’t lose him…” but perhaps she already has. Michaela and Jared go to Harvey’s apartment to look for more clues, and find that he was really in distress. Harvey has painted “I am the Angel of Death” in red on his wall. With a little more digging, Michaela discovers the source of Harvey’s distress. Since returning from MA 828, Harvey has frequented a local bar and told the patrons about the callings he’s bad. What leads Harvey to believe himself to be the angel of death is that the people he’s told about the callings are systematically dying. Now Michaela is scared that Jared might die because she told him… and Grace might die because Ben has told her. YIKES. In the course of the episode, we see that Grace seems to support the idea of Michaela and Jared getting back together… at least until she sees Lordes at the grocery store and learns that she and Jared are trying to have children. Grace telling Michaela about Lourdes and the fertility kit… and I’m glad for it. Michaela deserves better, so we cannot ship her and Jared. It’s good that this discovery has been made because UDS/SP is starting their experiments on Marko again and we end with Cal feeling that pain. Manifest airs Mondays at 10p/9c on NBC.